Momma Told Me: The internet is a free for all. I think of the internet as the 'Wild West', especially anytime I am on the two 'F's (Facebook and Forums), which seem to be increasingly unregulated while being increasingly suppressed. Now, yes, the entire point of the internet is to be whatever you want to be, do whatever you want to do, and explore wherever you want to explore. It's impossible to police such a vast playground of information, communication, and entertainment, especially while communicating with such a wide range of personalities from endless backgrounds. In general, if you can't handle the internet, you shouldn't be on it. But that doesn't mean anarchy should ensue. There are billions of websites, and even sub-groups within those websites. If you are choosing to participate in a civilized corner of the web, you should act civilized. There's plenty of space online for debauchery and nonsense. Just think, you (hopefully) wouldn't walk into a hospital with a glass of wine screaming about the Dancing With The Stars Results while interrupting everyone in sight. No, that's a behavior you'd reserve for a Mom's Night Out, or maybe a quiet Thursday at home. The internet has no rules. You honestly can do pretty much whatever you want until someone, or some site, blocks you from access in general. And I certainly encourage you to let your personality shine in public forums online- but there is something called etiquette. Netiquette, to be exact. I honestly think most of my generation doesn't have a clue what etiquette is. That's because etiquette is a system of civilization put in place to unofficially classify what is polite and what is not, when conducting business with or around others. ETIQUETTE: The customary code of polite behavior in society or among members of a particular profession or group. 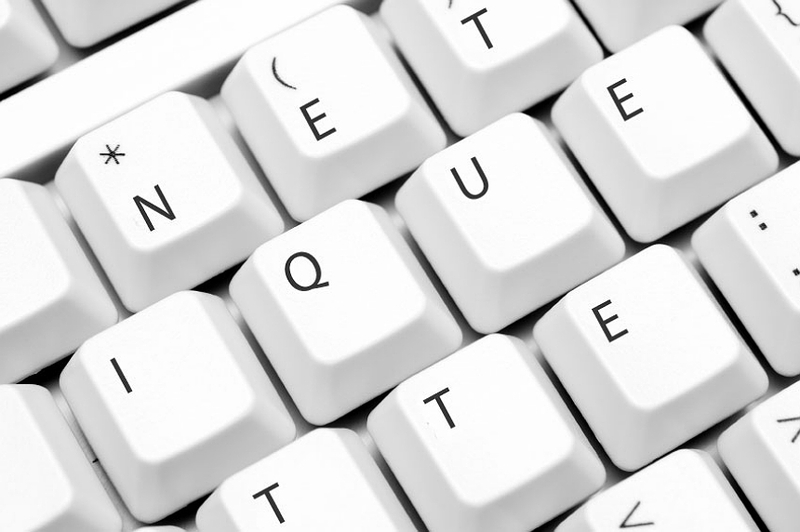 Unfortunately, given the voluntary nature of the term, Netiquette is something that is entirely optional and something nobody can count on anyone using, when conducting their business or conversations online. And, with my generation in particular, the 'ME' generation- this becomes increasingly more common. "ETIQUETTE? Okay, not this thread has gotten too fancy for me! God Bless and have a good night!" While I could go down an entirely different rabbit hole as to why you should never drag your religion as a defense in a hostile remark (which is exactly how it was meant), I was much more taken aback by the concept of etiquette being so 'over the top' and 'excessive' online that it was referred to as 'fancy'. Heaven knows I am not the internet police- nor do I feel the urge to police others online- but there comes a point when society begins to break down- and the internet IS a society. Especially when you are participating in, or using a GROUP or FORUM (thread) that is not originally started by you, you should always exercise this mystical word 'etiquette'. 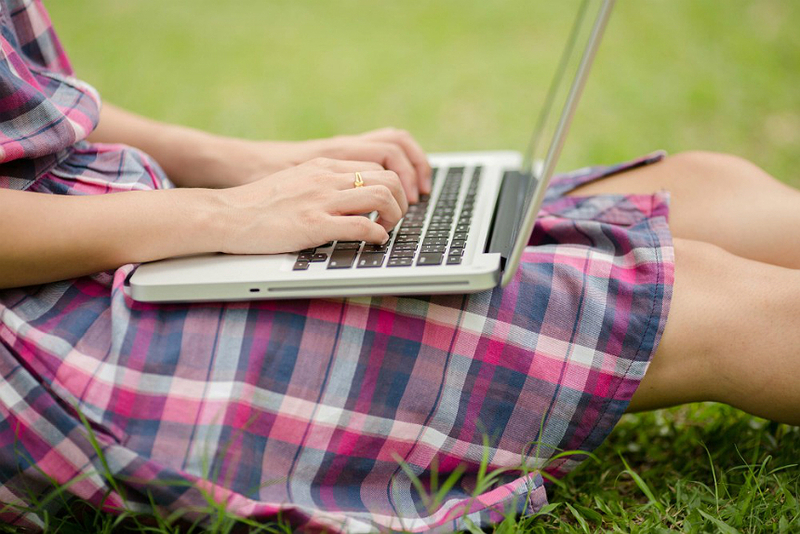 It's not a matter of altering who you are online, or changing the way you present yourself. You can still be 100% you while being respectful of those you are engaging with. And you can still be respectful while cursing, arguing a political point, bargaining resale treasures, sharing your latest rap lyrics, or anything else. Etiquette is not about censorship- it's about courtesy. You can be wildly offensive and raw and still exercise it. 1- Before you ask a question online, or post about something in a group check to see if the topic is already active in a recent post or thread. Much like you wouldn't repeat a discussion right after it happened in real life, don't do it online. 2- Use good judgement of where you are online and conduct yourself accordingly. There are many, many, many places where 'stickers' and 'GIFs' are abundantly appropriate and welcome. Your neighbor's post about them losing their job, or a thread about a recent national disaster is not. 3- Don't hijack a thread or post with information, images, or comments that are not relevant to the original post. If the original poster has decided to take the conversation in a different direction, feel free to respond, however you posting about your niece's Girl Scout Cookie sales on a post originally about someone's weight loss journey is not appropriate. 4- Unless you're communicating among close friends or family, don't type anything that may sound sarcastic online- without hearing the tone of your voice or seeing your face even the most hilarious of stickers won't save you from someone who takes it the wrong way. 5- The following '.' DOT. There are simple ways to follow a thread or topic both on Facebook, and any major online forum (such as Reddit). Sure, one little 'following' comment or a '.' or sticker here and there isn't going to kill anyone. But when everyone's doing it, it becomes a nuisance. Don't contribute to the countless updates others, who are following the discussions politely, will have to check in on, only to see it's just you being inconsiderate and lazy. 6- Generally, be brief, but be accurate. Online conversations move fast- you want your responses to be legible but also pertinent. Typing our a long winded response, unless telling a story or explaining a situation, will often be overlooked and unread by most. And, chances are, many of the points covered in your response will be already covered by those who were much shorter, and quicker, in moving the conversation along. 7- Check the most recent comments to determine if your response is relevant. Sometimes a question has been long answered, a problem resolved, or a request fulfilled long before we actually see the original post. Again, you know your 'comfort zone' and many of these behaviors fly when you're in a close circle of friends, or a tight nit group online- but when you venture out into 'society' online it's best if you follow some basic measures of etiquette. While you might not realize it while you're doing it, chances are some, if not all, of these behaviors have posed even a slight aggravation for you in the past. At the very least, you never know who is watching, and what opportunities you might be overlooked for on the simple premise of courtesy! What are your thoughts? Do you think the internet is a free for all, and why bother? Or do you hold out hope 'do unto others' still applies in 'public' online situations? What Daughter Says: If you can't handle the great unbridled internet you probably don't belong on it. That being said, anarchy doesn't have to ensure just because a group of adult strangers are trying to coexist at the same time. I will definitely be sharing this post. Some people certain platforms to vent. I've met a few that are totally different in person. 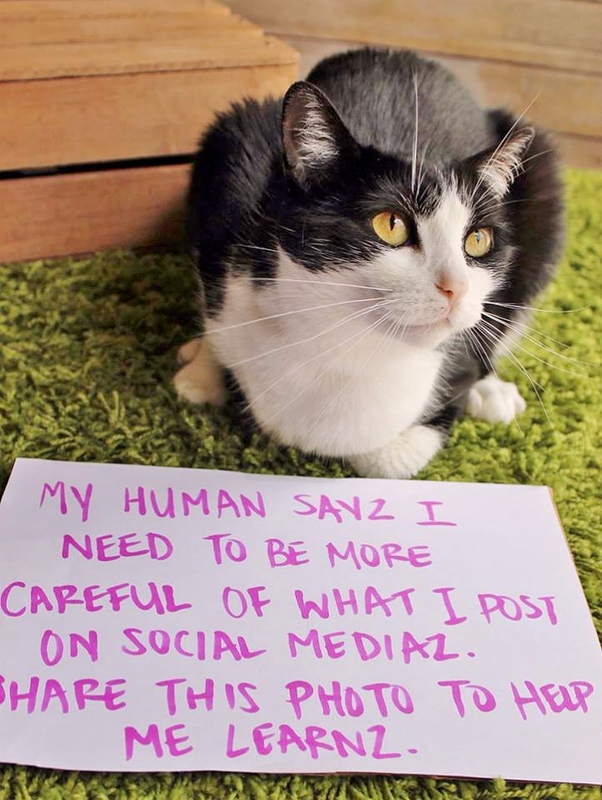 We have to remember that what we share online will follow us for the rest of our lives. This is so comprehensive. This should be required reading for EVERYONE who leaves comments online since saying the wrong thing online can come back to haunt you. Thanks for sharing this. 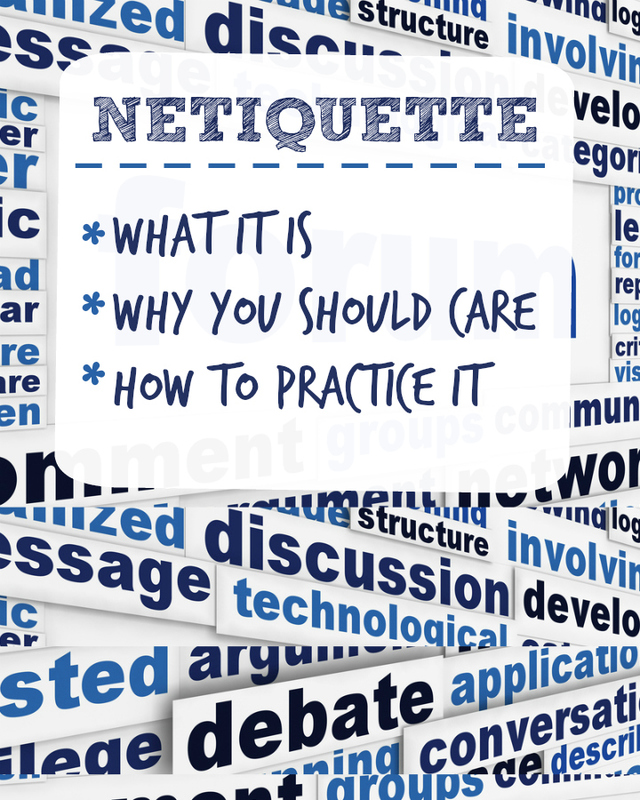 It really is amazing how many people don't get netiquette!! I love this!! The ones that drive me up the walls are the ones who constantly spam their direct sales non stop. I think I need to send this link to a few people on my friend's list lol. I'm always amazed at how some people think that they can hide behind a computer screen and say whatever they want.